You have downloaded the game, familiarized yourself with the common terms and learned the basic controls. Congratulations! You are now ready to begin your Pokémon Go journey. 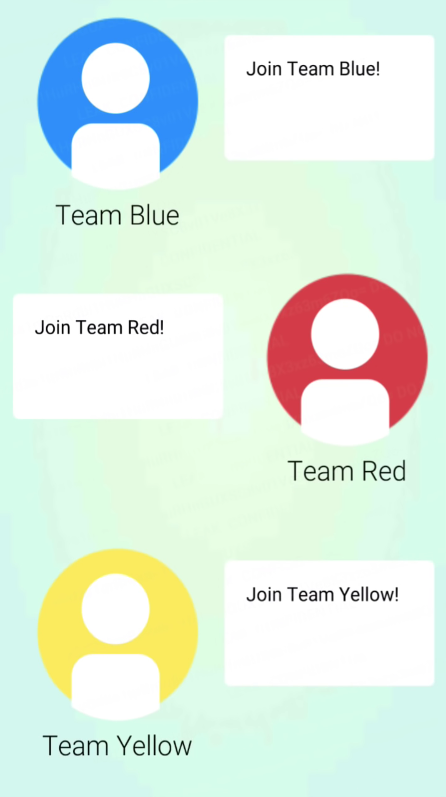 At the very beginning of the game, you have the opportunity to create your own Pokémon Go Trainer. He or she will serve as your unique avatar as you travel the world. 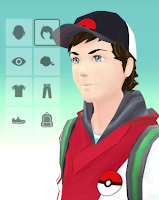 You will be given the option to name and customize your Trainer with a variety of different cosmetic options. You may customize your Trainer’s Gender, Face, Hair, Eye Color, Hat, Shirt, Pants, Shoes and Backpack. Once you have finalized your Trainer’s appearance and username, you will be able to start exploring. Eventually you will come across a Gym. Upon visiting your first Gym you will be asked to join one of three Teams. Mystic is Blue, Valor is Red and Instinct is Yellow. Note: You also must be at least Level 5 before you can join a Gym. If you plan to play with friends, choosing a Team is very important. Players of the same Team will need to work together to defeat/take control of opposing Team’s Gyms and defend friendly Gyms (More about Gyms later in this guide). If you wish to play alongside friends, make sure to discuss with them first before choosing a Team. Before you explore further, here is a little information on the Main Menu. At the bottom of the screen you will see four icons. From left to right, these include Trainer Profile Picture, Pokedex, Items and Pokemon. Trainer Profile: Here you can see your current Trainer level, XP required to reach the next level, Badges/Achievements and more. You will get achievements for walking certain distances, catching a required number of new Pokémon, visiting a set number of Pokestops, winning a certain number of Gym battles, etc. Pokedex: This is a digital encyclopedia of every Pokemon that can be captured in Pokemon Go. When you first start out, each Pokémon Profile will be hidden. When you capture a Pokémon, the Pokedex will populate with an image and reveal detailed information about that particular Pokemon. 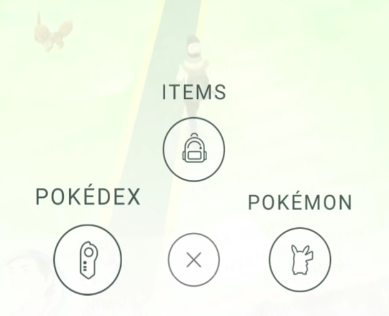 Items: As you travel and progress in Pokémon Go you will be able to obtain items. These Items may include Pokeballs, Potions, Eggs, etc. that will automatically be added to your inventory. Pressing the Items icon will provide you with quick access to your inventory. 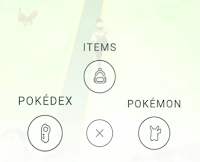 Pokemon: Pulling up the Pokémon menu will allow you to see all of the Pokémon you have captured so far. Each Pokemon will show as a small image with its corresponding CP value. Selecting a Pokemon will show further details including Type, height, weight, Moves, etc. (more about these later).